Activated Coconut Shell Charcoal/Carbon – XLarge Jar. 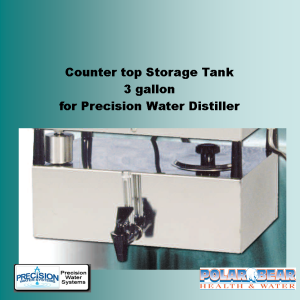 To be used with refillable filters: for Polar Bear Water Distiller, Precision Water Distillers, Durastill Water Distillers, Purewater Distillers, Lifemist. Activated Coconut Shell Charcoal / Carbon – XLarge Jar – 1.800 kg. 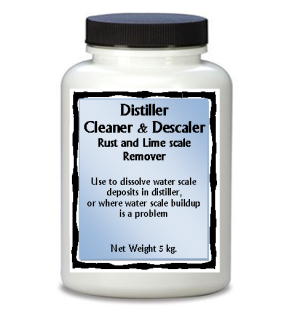 Many water distillers come with an activated coconut charcoal filter. Which requires that the charcoal be replaced every few months. 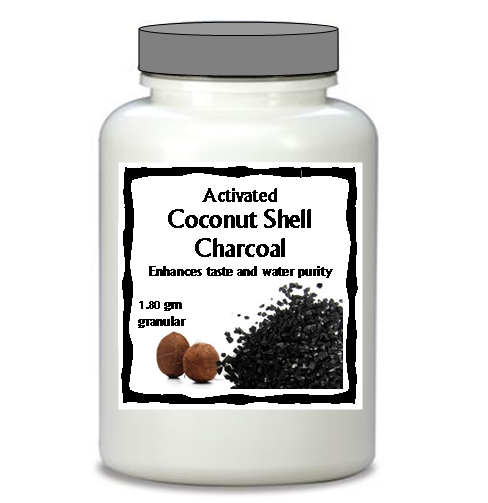 This crushed coconut shell has been steam activated to an extremely high temperature, effectively creating a special high quality porous grade of activated charcoal. 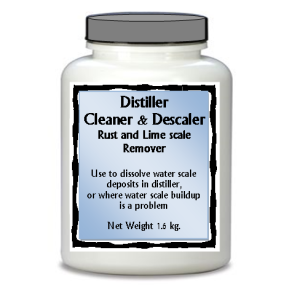 This product is to be used along with any distiller to insure removal of certain gases or obnoxious odors, and improving taste. XLarge Jar (1.800 kg.) If ordering in Canada – this item does “not” qualify towards Free shipping offer. We may discount shipping, depending on distance and total weight of shipment. Contains: Granulated Activated charcoal – derived from coconut shells. What makes it “activated” is the additional process it undergoes after the charcoal is formed. This causes the formation of a large number of very small pores on the charcoal’s surface, which work as microscopic traps to take up compounds and particles. We recommend that you change the activated coconut charcoal every 1 to 3 months or approximately 100 gallons of distilled water made. 1) Empty old charcoal from stainless steel canister. 3) Fill canister 2/3 full of new charcoal. 4) Rinse with boiling hot distilled water to rinse the dust from the charcoal. Do this several times until the water through the filter runs clear. Check out internet for other common uses of Coconut Charcoal… charcoal is also available in Capsules.